New Delhi : Voto Mobiles launched its latest smartphone model V9. 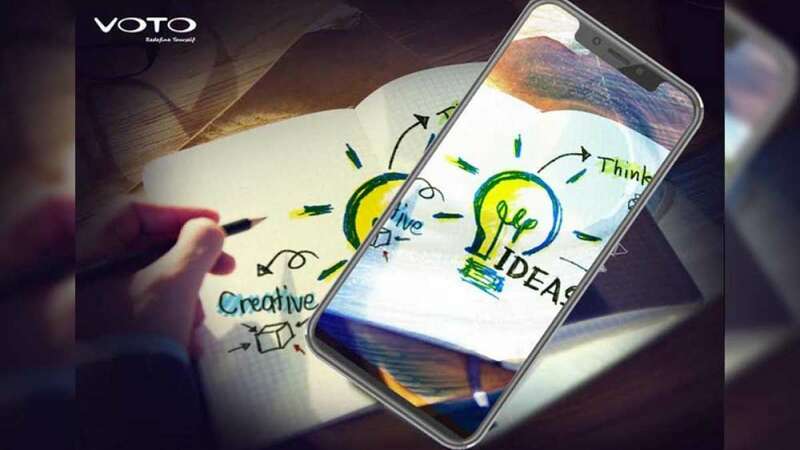 This new VOTO notch smartphone represents Indian youth especially in tier2 & tier3 cities through its combination of dynamic design and power-packed features. Sporting a 2.5 Curve HD display, VOTO V9 mobile have power-packed with a 3000mAH battery with clear voice calls in a noisy environment. Mellow body with Non-slip Design with Access to 22 regional languages support. Experience better connectivity with Dual 4G VoLTE+VoLTE, Faster Multitasking & Bigger storage, rich graphic experience and app usage in an uninterrupted form while optimizing the battery life. Besides a powerful sensor and stunning resolution, the high-quality HD display screen gives a spectacular quality view. “We are excited to mark a new milestone at VOTO with this ultra-modern smart phone V9. VOTO is sure to create buzz and recreate benchmarks in the industry. VOTO has used its expertise to create a unique space having unmatched quality, distribution and pan-Indian service network in the Indian market,” said Mr Santosh Singh, National Sales Head, VOTO India. VOTO is a global high-tech organization engaged in development of the best quality, best price smartphones and introducing them to the global market. The company’s target is to deliver their customers with the best user experience in terms of superior quality, latest and trendy design and the best features a smartphone can have. The brand entered the telecommunication & consumer electronics industry with the introduction of feature phones in China. The expertise lies in the deadly combination of smart software & world class hardware to bring the best smartphones to its valuable customers.